OmniForce II is a modular, compact negative air machine. It is extremely versatile machine with a high airflow, variable speed blower and many accessories available. The OmniForce II is easily transported and setup in two pieces, each weighing less than 50 pounds. It’s ideal for work on ships, in attics, crawl spaces and other hard to access areas. 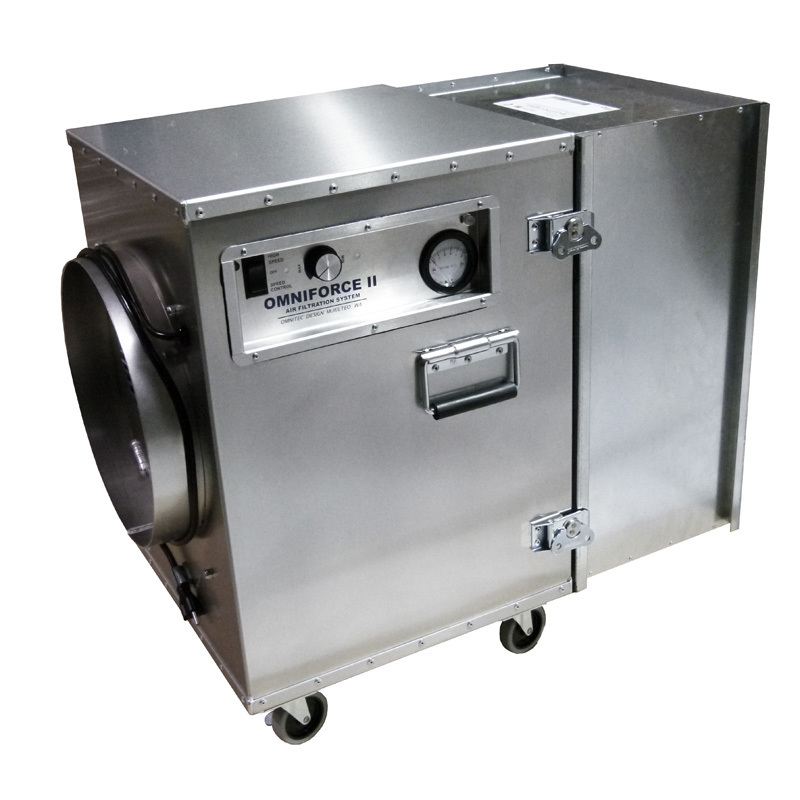 This machine can be used to create positive or negative air pressure containment areas for mold, asbestos, and lead abatement projects, construction sites, restoration projects after water/fire damage, and many other applications. For your safety, the OmniForce II fully complies with OSHA, UL, and CSA/IEC electrical safety requirements. PEROx Air Purification module for destruction of VOCs, odors, virus and bacteria. OmniAire equipment provides a cleaner and healthier environment in industrial facilities as well as abatement projects. Controls: Control panel with recessed controls, Speed Selector Switch - HIGH/OFF/SPEED CONTROL, Variable Speed Controller, Pressure Gauge - 0" to 5"
*Airflows are based on blower manufacturer curves. Different HEPA filters may cause the flow to vary. , A post with the ID $part does not exist.